Craig Hemke joins me to outline what has happened in gold and bonds after the Fed went on pause. He takes a shot at me for being too pessimistic… Which I totally understand but we have been in a long drawn out bottoming process. Click here to visit Craig’s site for more PM focused commentary. FWIW: Gann Global is still in a wait and see mode with PMs. They actually see a slight possibility that we could have a lower low in Gold and perhaps not finish that trend until a year from now. Not a pleasant video to watch. IMO it still depends on NY markets. If they stay elevated, we on pages such as this ought to go skiing and later get back into fishing. 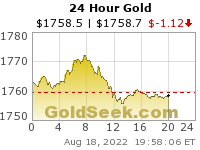 Barring a 40 dollar collapse between now and next Friday, $gold should hold above $1270 through August. If it were to complete crap the bed next week, like say drop $60 or 70 by Friday close, all bets are off. I think Matthew is closer in his predictions, than the historical record. I going with Bob’s comment…..”nobody knows anything”. But, Bob, did mention he liked the Gann Report………Just saying. The biggest disconnect are commodities. They have been punished beyond the pale. And it looks like it is not over yet. Like I said a year or two ago, they could be basing for years and years yet–that is how much technical damage was inflicted on them between 2011 and 2015. They did an absolute number on the complex. I am going to go out on a very pessimistic limb and say that GCC won’t break above its 2016 peak until 2021 or later. At that point, you should have the 300 and 400 week MAs finally caught down to the range they have been trapped in for the last 3 years. London will tell you when and where…….putting gold in as a commodity is a JOKE…..
Crimex, is alive and working well in the USof A…..
Well gold has held up by far the best of an commodity over the last 20 years. And it is still spanking the Dow and S&P over that period too. So there is that. It’s just trying to speculate and actually get rich off of this god forsaken sector that gets you into trouble. gold itself is a completely different animal. spanky…..you do not have to convince me……..I am J the Long……..
Hard to get rich, on something that is manipulated, ……by a small group of people., ie London sets the price……what a joke….. But, Long term….it will keep up with INFLATION>…. USD looks as bullish as can be on every time frame. It could be going a lot higher. It worked off a sky high MACD over the last few months by going sideways to slightly down. MACD is now back to neutral levels and is ready to make another run higher all while price has basically gone no where. That is textbook bullish consolidation. If you were the Fed, an unauditable entity with unlimited funds, would you ever want commodities outperforming the stock market after having thrown everything and the kitchen sink to lift the market post 2008? Wouldn’t you just strategically sell the crap out of commodity futures or key currencies at inflection points in coordination with other central banks? The banksters know that if commodities run wild, the pitch forks and guillotines will be headed their way. At this point I see my mining shares as nothing but long dated call options that could very well expire out of the money. I now find it impossible to see a world where they make consistently higher highs. I just don’t think it will be allowed to happen. I obviously know that some day they have to do that, but I just can’t see it. The XAU was already overbought when it reached obvious important downtrend resistance a week ago. So the struggle there since is no surprise. Under the circumstances, many bulls would have joined the bears in selling or at least delaying buying. In a vacuum, the gold and gold miners look fine. It’s just the silver miners, commodities and the USD that are strongly suggesting that optimism could be very misplaced. Even silver isn’t out of the woods yet, and given its tendency to track the larger commodity complex, it could head downhill in a flash. I don’t think this is at all going to play out like 2016. It already isn’t–the silver miners are telling us that. Maybe they make up all of the underperformance tomorrow by rocketing up 20%. Or more likely not. If gold holds up, silver will hold up. Silver tracks gold much more closely than anything else. I agree that it won’t be a repeat of 2016; that was a once in a generation move – at best. Silver still looks better now than it did then. Get on the waiting list for Free stock market trading on ABRA for 2019. Check this out – you can now use bitcoin to invest in stocks and ETFs from anywhere in the world. sign up now to reserve zero-fee trading for 2019! OMG he was telling people to buy when gold was 1800 OZ, scammer! Oh My,………Cortez, and Montezoomy Nobrain, and she went to Boston College…..must have a lot of safe spaces in the dorm rooms at BC. What an Idiot……….. Someone said, she was thinking of running rail, to Hawaii ……..over the ocean…. UUP weekly bollinger bands are getting very narrow and will likely narrow even further. This is going to set up a massive move eventually, up or down. It may take 6 months to ultimately play out, but a massive move is coming within that time frame I am guessing. For example, price may drift upwards for 6 months in a narrow range before reversing lower. The slv:$spx and gld:$spx daily charts are looking good so far today. Gld:$spx managed to pop back into the cloud today after falling beneath it days ago. Let’s hope that it can hold there into the close. It’s a positive sign for sure so far. Hope I haven’t jinxed it. I think silver’s fate hinges entirely on the SLV:GLD ratio holding up over the next couple of weeks. 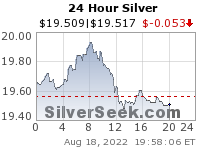 I don’t even care if silver goes down in absolute terms as long as it doesn’t go down as much as gold. I am probably not going to rest easy until SLV breaks through its weekly Ichimoku cloud. Once it does that I will feel much more confident that it is in a strong bull trend. It’s possible gold trends sideways for a long time above its weekly cloud while silver trends below its cloud. I really hope that is not how this plays out. Using 60,3,6 parameters for the weekly stochastics suggests that gold and especially silver and silver miners have the potential to run higher yet. Especially silver and silver miners. while using those parameters doesn’t give you much sense of direction week to week (you could conceivably get 4 down weeks in a row for example and still have the stochastics pointed up), it does give you a sense of the overall trend and the potential to keep running higher. The $XAU weekly stochastics using these parameters looks especially convincing that a very very significant low was struck in September ’18.